Fulfill your deep cleaning and interim cleaning needs with the 1610 Carpet Extractor. The 1610 will clean large areas using Tennant’s ReadySpace technology. 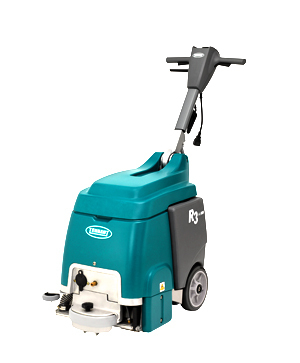 Tennant’s R3 Interim Carpet Extractor cleans small areas quickly with ReadySpace technology. The adjustable handle makes it easy to use and store. Powerful cleaning for small spaces with Tennant’s E5 Deep Cleaning Carpet Extractor featuring Insta-Adjust™ handle for increased operator comfort and easy storage. 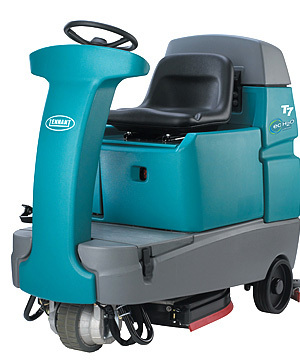 The Tennant T7 Micro Rider Floor Scrubber makes scrubbing large and small floor areas easy. Add Tennant’s innovative ec-H2O NanoClean® or FaST® scrubbing technologies to help reduce water and detergent use. Compact Battery-Powered Rider Scrubber. 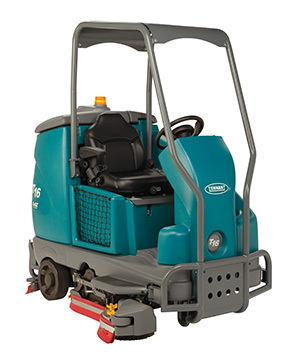 The power of a heavy-duty rider scrubber and the maneuverability of a compact footprint. Increase cleaning productivity by utilizing Tennant’s innovative product features chemical free ec-H2O™ technology. 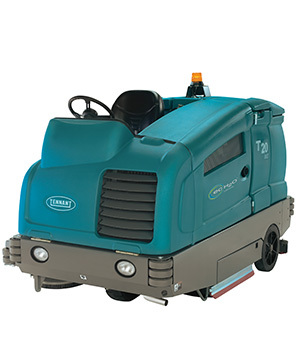 Tennant’s T16 Battery-Powered Rider Scrubber can help reduce your cost of ownership with quality machine body construction and innovative technologies. 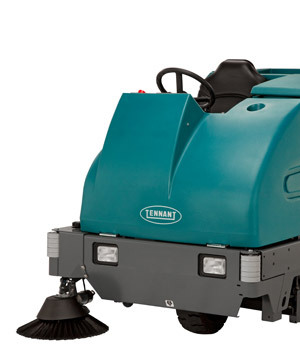 Tennant’s T20 Industrial Rider Floor Scrubber can help reduce your cost of ownership with innovative technologies and durable scrubber components. 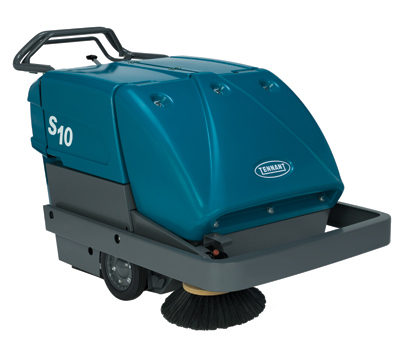 Tennant’s S10 Industrial Floor Sweeper is a heavy duty, battery-powered walk-behind sweeper that cleans harsh industrial environments. Cleaning carpets that get a ton of traffic everyday can be a serious task that requires a much more powerful machine than home carpet cleaners. For the deepest clean, turn to Goscor and their wide range of carpet cleaning equipment from the leading names in the industry. 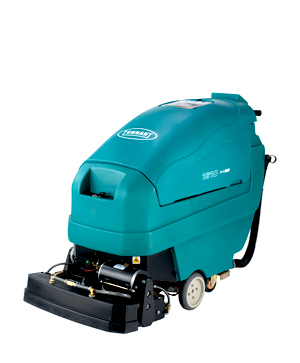 These cleaners are suitable for home or commercial cleaning environments and are capable of performing the most heavy duty tasks. Choose from a range of heavy duty, deep cleaning, or interim carpet extractors provided exclusively from Goscor. Remove deep stains or surface spots, and get rid of any odors with the machines in the full line of carpet cleaning equipment. Whether you’re working with a large space or a small room, these carpet cleaners will help you get the job done easily and efficiently. Ideal for either home or commercial spaces, Tennant’s 1000 Carpet Extractor and Predator models provide even the dirtiest carpets and upholstery with a deep clean. 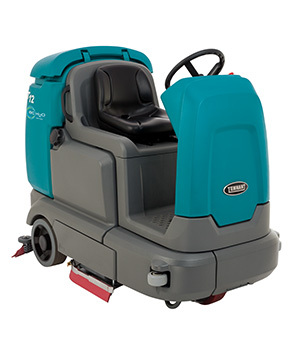 With a number of unique features, these machines are easy to operate, clean, maintain, and service. 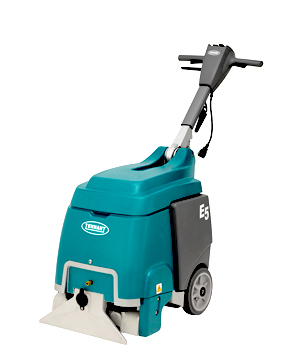 The Tennant E5 Compact Carpet Extractor and R3 with ReadySpace Technology are the machines you need for cleaning larger areas. He patented Insta-Adjust handles will help you reach into any space for the deepest all-around clean. Use the Tennant 1610 with ReadySpace Technology or the Typhoon Turbo Dryer to dry your clean carpets quickly. You can always count on Goscor to provide you with the highest quality equipment at the lowest total cost of ownership from the best brands on the market. Combine this with innovative solutions and professional support from a team of factory trained technicians and it’s easy to see how Goscor has been living up to its vision of being the first choice supplier of industrial equipment in the world. Goscor has been on this mission since 1984 and they deliver on their commitments every day.